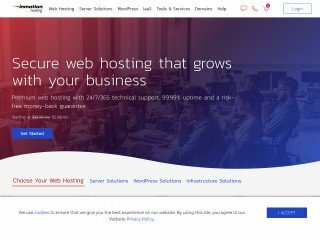 What are the Best Advertising Avenues for Web Hosts? Large web hosting companies such as GoDaddy are able to create television advertising campaigns that keep the public aware of their brand. These marketing campaigns are expensive endeavors involving a significant amount of time and effort to develop a strategy. The effort and cost is worth it. GoDaddy is a commonly recognized brand name, and the company has experienced immense growth by buying up start-ups, attracting top tech management, and expanding internationally. 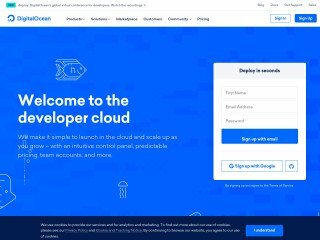 That’s good news for GoDaddy, but is it a solution for other web hosting companies? If you own a smaller web hosting business, a television advertising campaign is not going to be covered by your budget until you experience some growth. You need some ideas for more cost effective advertising, and could even use some do-it-yourself options. Here are a few ways small web hosting companies like yours can get name recognition and increase business. Like all of the advertising options you will come across for your web hosting company, content marketing can be started as a project on your own, or you can use a service to help you or take the task off your hands completely. Write articles that are informative and easy-to-read to keep a potential customer engaged about web hosting services and related subjects. 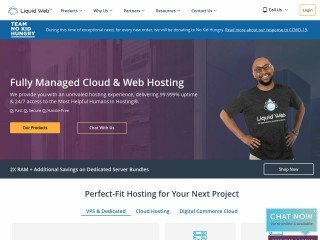 Aim for a variety of subjects, making sure to cover items that small businesses needing web hosting services would find helpful. Leave your blog posts open-ended to encourage comments, letting potential customers add their thoughts and get your answers. Once you have the budget, you can hire content writers to give your blog entries a polished and helpful tone without taking up hours of the marketing team’s time. You can research other sites to place your content and add calls to action at the end of each article to direct customers to your website for more information, or hire a service to handle that for you. Social media outlets are also a good way to start advertising yourself on a small budget and to expand to hire professionals when your web hosting company grows and increases the marketing budget. Creating a social presence is simple for your internal team and powerful when paired with content marketing and professionals to maintain your social presence. Add quick, interesting statistics to your Twitter feed. Take a series of pictures from a trade show or demonstration of your web hosting process for small businesses, and add those photos to Pinterest. Follow professional groups for small business owners on Facebook, and later use Facebook sponsored updates and advertising options, choosing a daily budget that works for you. Social media management is tied in with content marketing to create powerful brand awareness. Small business owners looking for help with web hosting will be exposed to your brand in a positive way if you keep your social media posts interesting and helpful. Target your potential customers for successful advertising. Remember that you need to engage any potential customer comments or feedback, which is another reason why an agency will eventually become helpful in managing your social presence as your web hosting company grows. Purchasing website banner ads is a good way for you to get your web hosting business name recognized. However, you will read about recent research that click through rates occur for less than one percent of page views. Banner ads still have value. They get eyes looking at your name and learning something about your web hosting services. You can purchase banner ads for as little as $1/1000 views. At that rate, a banner ad for a site that gets 25,000 page views per month would cost $25. A top ranked website is going to charge more per impression. A blog with good page view rates that offers advice to small businesses is more worth your money than a blog with huge page view rates that discusses international business. Look at the comments section for the site’s blog entries or articles. A lively comments section means readers are actively engaged. 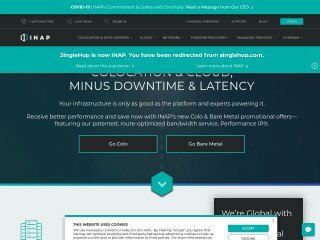 Purchasing space from a network of blogs can save you time and give you one point of contact for many different kinds of small businesses that could use web hosting services. RELATED: Is One Worldwide Cloud Storage a Dream or a Nightmare? If you have the budget, a service can handle most of these decisions for you. However, if the budget is tight and you know what kind of niche you want, researching sites yourself is not too difficult. The staff at your web hosting company is going to be savvier about websites than the average small business, and a group discussion could lead to some great blog or news site suggestions that would be ideal places for your banner ads. No matter what avenue you choose, if companies cannot easily find your name when searching for web hosting options, you will lose their business to competitors who have left an impression. Banner ads can bring your web hosting company into the mind of potential customers, and content marketing offering helpful and interesting articles, tied in with a social presence, will make those potential customers want to use your web hosting services. 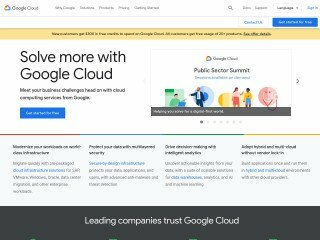 Is Google Drive Publisher a Threat to Web Hosting Companies?